Do you want your employees to take more ownership in their work? Own it. Those two words can change your entire company. And beyond that, it can change the way your company innovates and the way they bring value to the marketplace. My name is Gene Hammett. 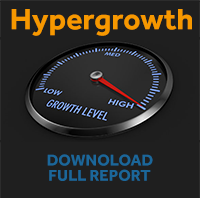 I work with companies and their leadership teams to help them understand HyperGrowth. And how that really translates into getting their employees to go beyond responsibility to take real ownership for what they do. I’ve got a podcast called, Leaders in the Trenches. And I’ve just published a book called, The Trap of Success. In the opening of this video, I talked about the need to own it. Those two words. Well, those two words have been the basis of all of the work I’ve done over the last four years because it really is about getting your employees to feel like they have an ownership in what they’re doing. And then what happens after that is just amazing. Before I became a speaker and a coach I ran my own business. My HyperGrowth business, in fact. And as the CEO of that company, I hired and develop people so that they could get the work done in the company. Now, I was looking at some of the common elements of the high performers and one of the things that really alarmed me is it wasn’t the education of the people, it wasn’t the skillsets, it was more about how they saw the world and about what their ability to take ownership in what they were doing. It’s pretty interesting, right? When you have employees that feel like they have ownership in what they’re doing, they act like they have ownership. They think like they have ownership. And they look for opportunities to improve the business that people that just have responsibility don’t look for. And frankly, that is the basis of the growth that we’ve been talking about in some of these videos I create. Is about how companies are growing really fast because of the people inside them and the culture that leadership is developing is this ownership culture. It’s putting the entrepreneurship spirit beyond the founder level into everyone in the company. So if they think like entrepreneurs they really do act like entrepreneurs inside the company. Ownership activates the entrepreneur spirit. I’ve dissected this concept of ownership into six disciplines. And those six disciplines really hold the keys to you creating HyperGrowth teams and high performing teams inside your company. If you wanna copy of that Six Disciplines of HyperGrowth, just click the link and I’ll send it to you. All of this comes from my interviews with the INC 5000 CEOs. On average, they grew 2,731% over three years. That’s a lot, right? Well, I was trying to understand what makes that happen and it’s all about ownership. So if you wanna download the Six Disciplines of HyperGrowth go ahead and do that now. And I’ll see you in the next video.